Ah man. 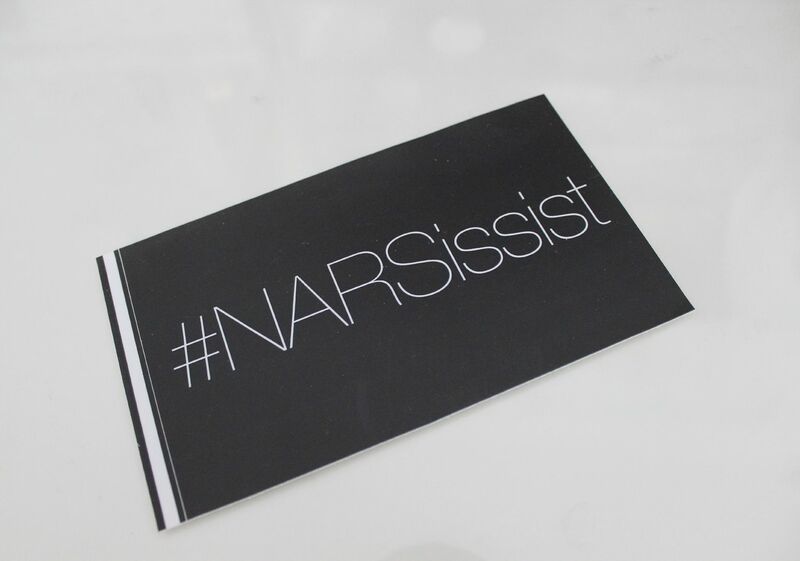 There is nothing better than some shiny new makeup, except maybe shiny new things from NARS. One of my all time favourite brands – there is always something on my wishlist, and lots of products never stray far from my makeup bag. They sent me the new 413 BLKR illuminator, which is a liquid highlighter in a really pretty champagne colour. I’ve tried the copacabana illuminator before, but I found it too pink toned for me. 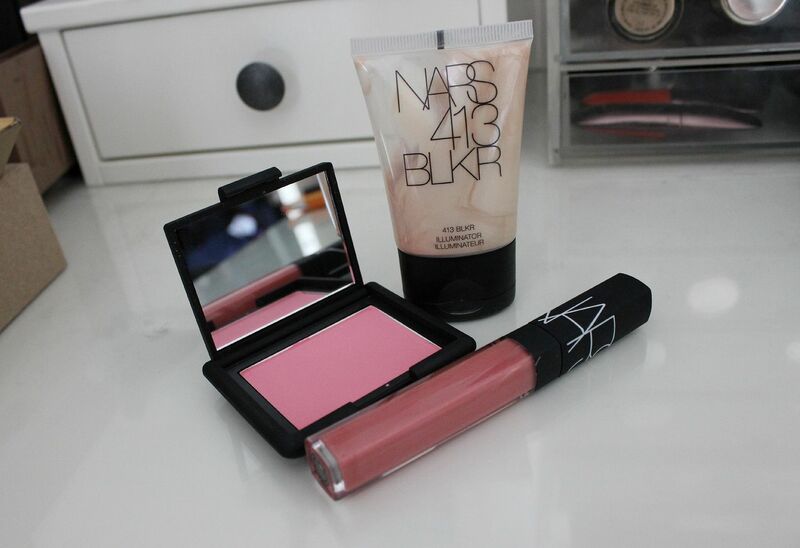 The 413 BLKR reminds me of MAC Soft & gentle, which y’all know I love, and is really fun to use. Cream highlighters sit much more nicely with cream blushes, I think! I also bought the duo in Brousse, which is my new favourite. 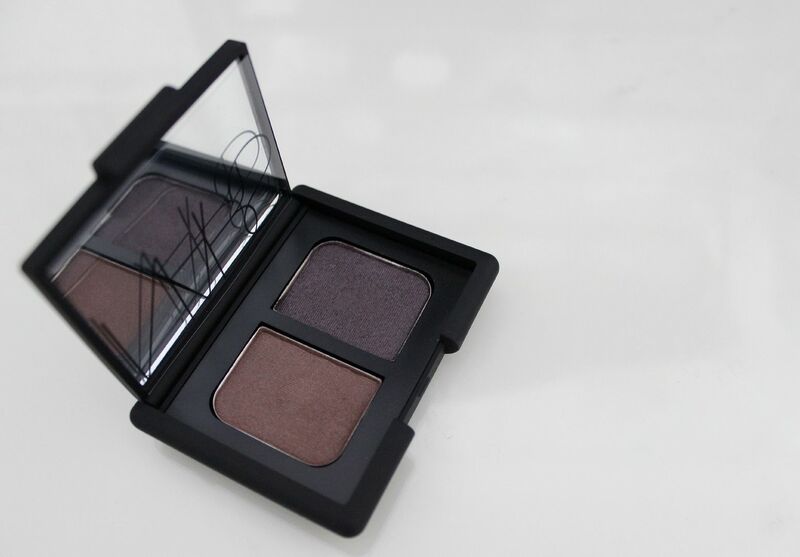 I wear the Kalahari duo and Lola Lola a lot, and NARS shadows are some of the best. I got it during the ASOS 25% off sale, huzzah! Rimmel wake me up take 2!